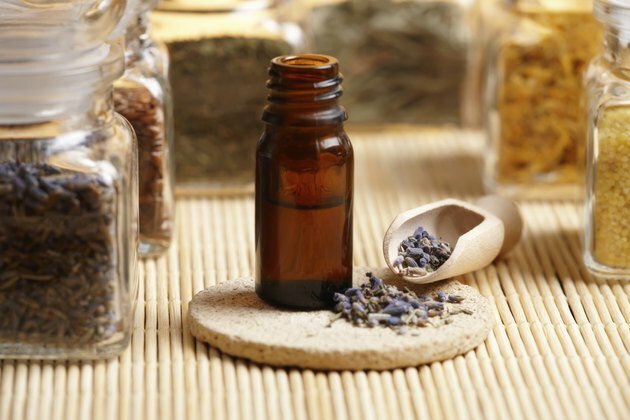 What Are the Benefits of Star Flower Oil? The plant Borago officinalis is the source of star flower oil. While the blue star-shaped flowers can be eaten as a vegetable, oil pressed from the seeds is a nutritional supplement and herbal remedy. 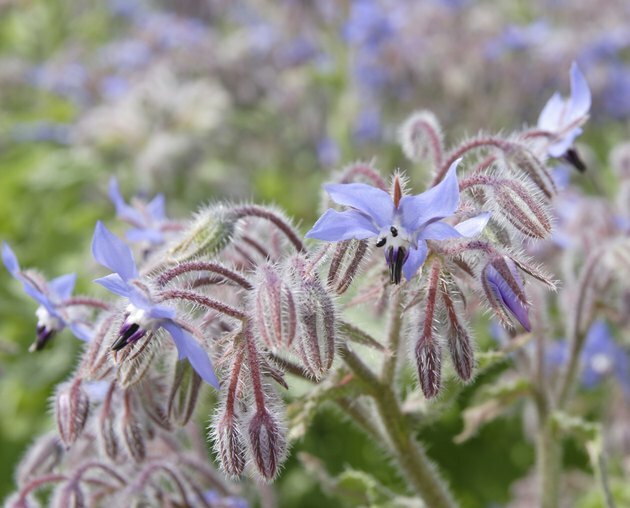 The borage plant grows throughout the Middle East and Mediterranean regions, and the seeds are high in the omega-6 fatty acid gamma-linolenic acid. GLA is particularly beneficial because it reduces inflammation in the body, while some other omega-6 fatty acids increase inflammation, according to the University of Maryland Medical Center. Because of its GLA content, star flower oil, also called borage oil, provides important health benefits. Omega-6 fatty acids are essential fatty acids because they are necessary for health, but the body cannot produce them. People must acquire these substances through food or dietary supplements. Omega-6 fatty acids, such as the GLA in star flower oil, are important for bone health, metabolism regulation, reproductive system maintenance, and skin and hair growth, as noted by the UMMC. Reliable and relatively consistent scientific evidence indicates health benefits for rheumatoid arthritis patients taking star flower oil, according to the University of Michigan Health System. Star flower oil has anti-inflammatory properties and may reduce joint pain, inflammation, stiffness and swelling associated with this disorder. Another possible benefit of this anti-inflammatory quality is for treating gum disease, according to a study published in the March 2003 issue of Prostaglandins, Leukotrienes and Essential Fatty Acids. 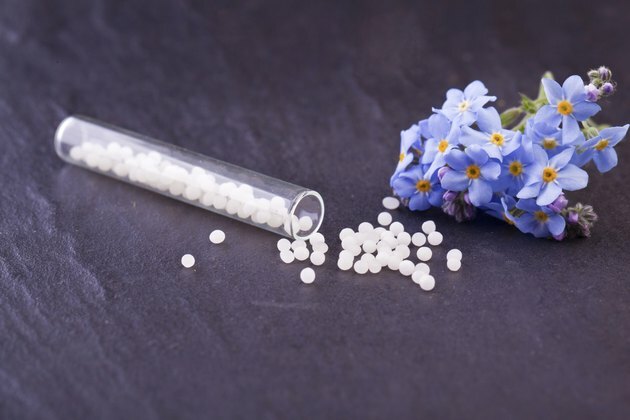 Participants taking 3000 milligrams of borage oil daily experienced significant improvement in gum inflammation and probing depth after 12 weeks compared to the placebo group. Improvement in plaque levels also occurred, although it was not statistically significant. Star flower oil also may be helpful for patients with cystic fibrosis, a genetic disorder that causes severe breathing problems, according to a study published in 1994 in Annals of Nutrition and Metabolism, Volume 38, No. 1. In this study, patients taking 1500 milligrams borage oil daily for four weeks experienced improvements in vital capacity, the amount of air a person can expel from the lungs after a full inspiration. 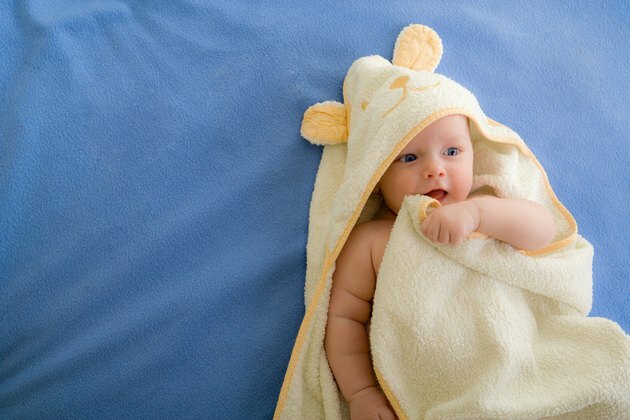 Topical star flower oil may have benefits for patients with seborrhea, according to the UMHS, which recommends it particularly for babies with this condition, commonly known as cradle cap. Mild seborrhea or seborrheic dermatitis is marked by a dry, flaky scalp, while more severe cases involve oily, itchy scales and red patches. 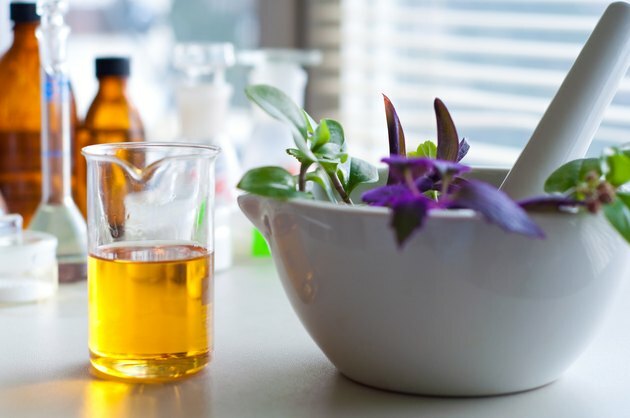 The UMHS notes that oral star flower oil is sometimes recommended for treating eczema, but that research does not support this use.